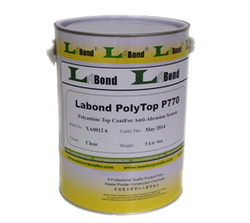 PolyTop P770 is a kind of highly abrasion resistance paints which is designed to serve as protective top coat for various undercoat system such as polyurethane, Epoxy, Cementitious etc. It provides excellent adhesion, anti-abrasion and anti-chemicals protection to undercoat. It also available with various choice of colour to meet with decorative requirement.